In principle, removing a floor covering is a rather simple job. However, whether this job actually proves to be simple in practice depends on selecting the proper machine for one part and rather essentially the proper tool for the other. The question as to the “proper machine” is answered frequently by dipping into the wallet or currently available budget. Strippers with impact technology and drive system such as the Wolff Turbo Stripper, Robo Stripper or Vario Stripper. The oscillating method is the most common one. An elliptically rotating blade cuts the adhesive bond between floor covering and substrate. This method is particularly suited for carpet, textile and slightly elastic flooring. Many small to medium-sized machines incorporate this system. 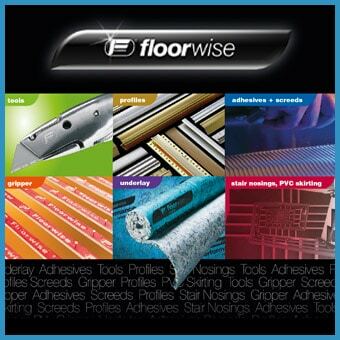 However, very rigid flooring and coverings glued with visco-plastic adhesives, e.g. linoleum or flooring coverings of a rubber basis, represent a problem when treated with this method. Specific textile floorings also have used these adhesion properties making strippers with an oscillating operation principle inappropriate. 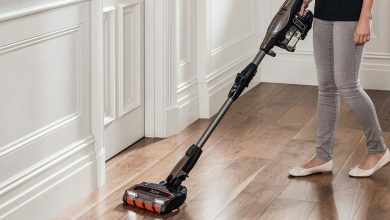 For these cases impact and drive system technology should be used which is an ideal method for removing the most stubborn of floor coverings. Once you have selected the “proper machine” for your needs, you have to consider another decisive and critical aspect, selecting the proper blade and proper machine settings. Irrespective of the machine type, performance stands or falls with selecting the proper blade. Experience has shown that wrong or worn blades simply are the most frequent reason for complaints about an apparent malfunction of strippers of any kind. Always remember this fact if you are not satisfied with your machine’s performance. Would you cut flooring material with a worn blade? Stripper blades will start to deteriorate after approximately 100 m2 on average. This information, of course, varies in relation to factors, like substrate, operation method and blade pressure. The factors which affect blade selection make an exact and generally valid allocation of a blade to a specific application virtually impossible. Nevertheless, there are a few principles to give you an orientation in selecting the proper (standard) blade to be used. Despite its undisputed advantages, when using machines with an oscillating special U-shaped blade, the lateral chamfer can block or reduce the blade movement resulting in a certain loss of performance. The same applies to machines with an impact system. When using a special U-shaped blade, it is absolutely essential to make sure the machine is not overstressed to avoid output loss on balance. WOLFF the specialist for high-quality machines and tools for floor covering removal, application and substrate-preparation has a range of high quality subfloor preparation machines and strippers.